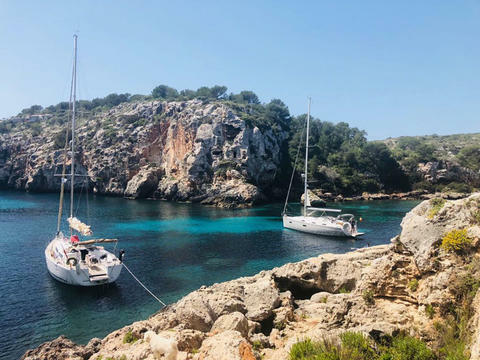 Available for charter in Menorca bareboat or with skipper. 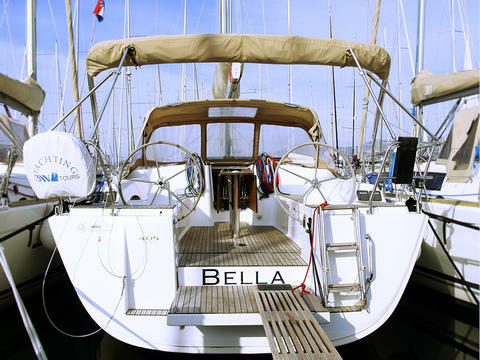 Sleeping capacity up to 8 guests in her double three cabins + convertible dinette in saloon. Teak in deck, cockpit and drop-drown swim platform. Fully battened mainsail. 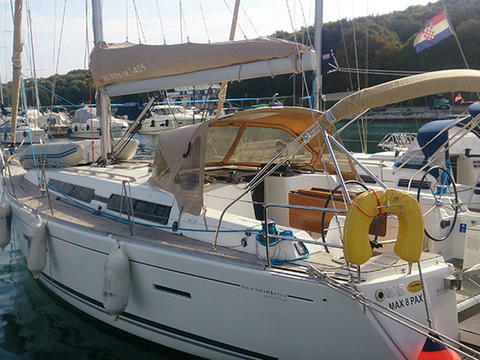 Do you offer boats for hire (not only Dufour 405) by yourself? 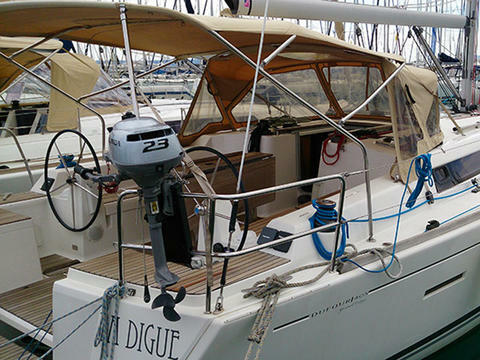 Sign up and add your Dufour 405 or other yachts for rent in our yacht charter data base.